FAT12, FAT16, FAT32, exFAT, NTFS, NTFS5, ReFS / ReFS2+ / ReFS 3.4 (Resilient File System, Windows 2012/2016/2019 Server), HFS/HFS+ and APFS (including encryption) (Macintosh), Little and Big Endian variants of UFS1/UFS2 (FreeBSD/OpenBSD/NetBSD/Solaris) and Ext2/Ext3/Ext4 FS (Linux). An advanced RAID reconstruction module. If the OS cannot recognize your RAID, you can create a virtual RAID from its components. Such virtual RAID can be processed like a real one. Standard RAID levels supported: 0, 1, 4, 5, 6. Nested and non-standard RAID level supported: 10(1+0), 1E, 5E, 5EE, 6E. Support for parity delays in all applicable levels. Support for customer-specified RAID layouts. Automatic RAID parameter recognition. R-Studio can recognize all RAID parameters for RAID 5 and 6. This feature helps the user to solve one of the most difficult problems in RAID recovery. Scan for Known File Types (raw file recovery): if the disk file system is heavily damaged or unsupported, R-Studio searches for specific data patterns ("file signatures") typical for certain file types (Microsoft Office documents, jpgs, etc.). Such known file types can be custom-defined. New file signatures can be added to the list of known file types by the end user. Files can be recovered on network computers running Win2000/XP/2003/Vista/2008/Windows 7/8/8.1/10/Windows Server 2012/2016/2019, Macintosh, Linux, and UNIX. A feature-rich text/hexadecimal editor. File or disk content can be viewed and edited with the advanced hexadecimal editor. The editor supports NTFS file attribute editing. R-Studio Emergency version is run from a USB stick or compact disc when it is necessary to recover data on a computer, on which Windows cannot start up because its system files are corrupted or deleted. 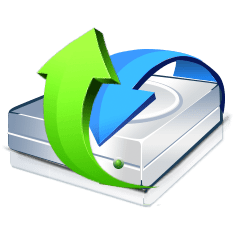 to recover files from devices with unknown file systems, including HD, CD, DVD, floppy disk, Compact-Flash Card, USB drive, ZIP drive, Memory Sticks and other removable media. File recovery lists for mass file recovery. File recovery lists with extensive file information in the Technician version. Multi-language User Interface: English, French, Spanish, German, Russian, Portuguese, Traditional and Simplified Chinese, and Japanese.